SOME MEDICATION USED to treat blood pressure and heart conditions is being recalled as a precaution because of an impurity that is linked to cancer. Valsartan is a prescription medicine used to treat high blood pressure and heart failure. It is also sometimes prescribed after a heart attack, the Health Products Regulatory Authority said. A recall of the drug is underway across Europe after reports of an impurity found (N-nitrosodimethylamine) that is classified as a “probable carcinogen”. At present there is no evidence that it has caused harm to patients; this recall a precautionary measure while an investigation continues. 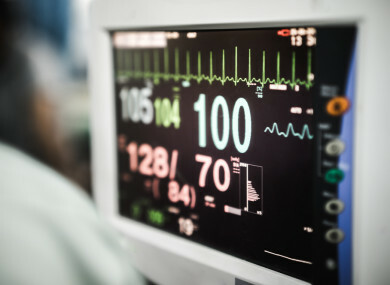 The impurity was identified as part of the manufacturing process in a valsartan active substance manufactured at one facility in China, the HPRA said. The HPRA advises patients not to stop taking these medicines but to go to their pharmacist or doctor at an early opportunity to discuss their treatment.The health risk of abruptly discontinuing this medicine is higher than any potential risk presented by the impurity. Not all valsartan medicines are affected by the recall. A list of the affected products is available here. There are alternative valsartan-containing medicines and other treatments available to patients. According to Dr Lorraine Nolan, Chief Executive, HPRA, this is an emerging situation being managed in real time by the HPRA working with their colleagues in Europe. “Laboratory testing and risk assessments will provide more information as part of this co-ordinated European approach to establish the possible impact on patients who have been taking these medicines and to ascertain if other products may be impacted. The Department of Health, the Pharmaceutical Society of Ireland, the Irish College of General Practitioners and other healthcare professionals have also been informed. Email “Heart condition medication recalled over 'probable carcinogen' impurity”. Feedback on “Heart condition medication recalled over 'probable carcinogen' impurity”.